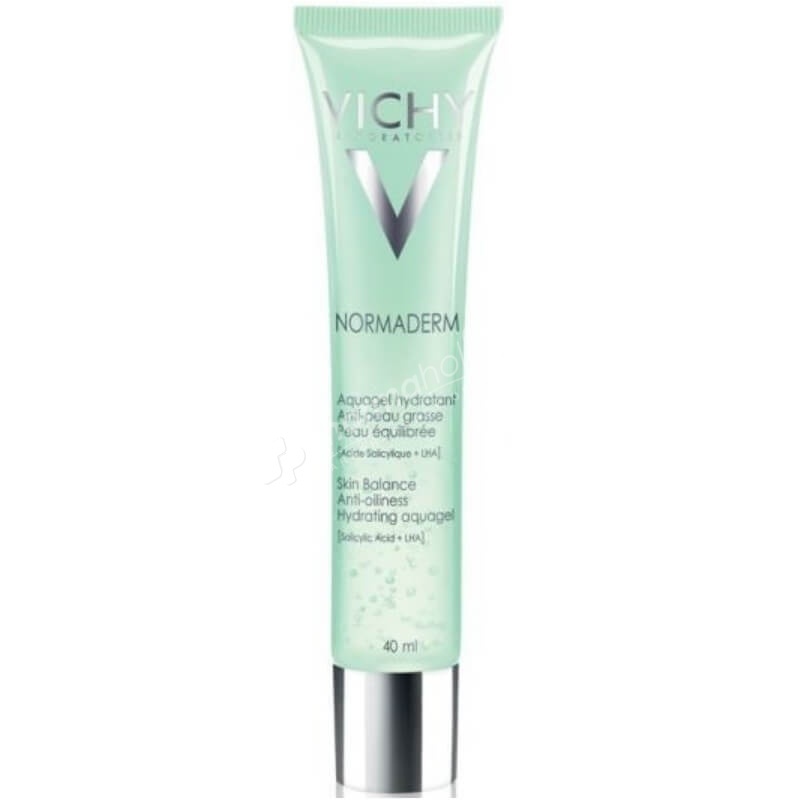 Normaderm's Skin Balance offers the right balance between hydration and oil control for a daylong fresh skin sensation. Its light and fresh touch water-in-gel texture leaves a clean and soft-skin finish. For women with oily skin, suffering from recurrent shine and dilated pores. The first daily care specially formulated for oily skin that offers the right balance between hydration and oil control for a daylong fresh skin sensation. Its light and fresh touch water-in-gel texture leaves a clean and soft-skin finish. Apply daily, morning and evening on clean skin. Avoir eye area. Aqua, Peg-8, Glycerin, Alcohol Denat, Propylene Glycol, Butylene Glycol, Peg-20, Bht, Bis-Peg-18 Methyl Ether Dimethyl Silane, PPG-6-Decyltetradeceth-30, Peg/PPG/Polybutylene Glycol-8/5/3 Glycerin, Ci 19140 / Yellow 5, Ci 61570 / Green 5, Potassium Hydroxide, Carbomer, Salicylic Acid, Phenoxyethanol, Ammonium Polyacryloyldimethyl Taurate, Disodium EDTA, Tocopherol, Caprylyl Glycol, Capryloyl Salicylic Acid, T-Butyl Alcohol, Parfum / Fragrance.